Spotify is set to launch a new toolkit this week, opening up its application programming interface (API) in order to encourage developers to build the service into a range of comms and entertainment devices such as mobiles, consoles and TVs. 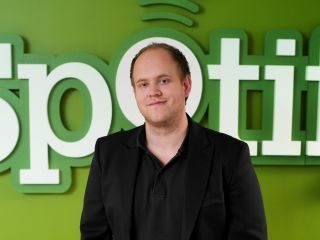 This exciting news comes from Spotify co-founder Daniel Ek, who outlined how developers will now be able to build their Spotify clients, and confirms what we reported in TechRadar's exclusive interview back in February. "This is the first step towards becoming more of a platform," said Ek, adding, "there are lots of services that have APIs, but this is different because it lets anyone build a Spotify client." "If somebody wants to build it into media centre PCs, or if a company wants to integrate Spotify into TV screens, they can… several companies are working on stuff right now – we can't announce anything at the moment, but it's very interesting." "There are lots of areas where we don't have the resources to develop ourselves," he added. "This takes a lot of workload off our backs, and we don't know every way that people want to use the service." "People consume music all over the web today; you want to consume music on a wide variety of devices and the music business needs to adapt to that… it's the only way to get people paying for music again." Around 40,000 new users are currently signing up to Spotify every day. Read more about Spotify's plans for the future in our wide-ranging interview with CEO and founder Daniel Ek from earlier this year.